Description: Looking for convenient living in the heart of rockingham? Close to shopping, the canada games centre, the mount & a great school district then this is the perfect location! 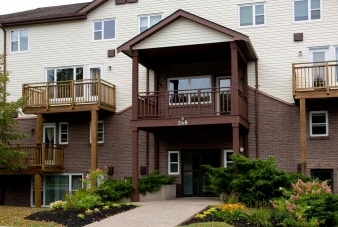 Pride of ownership shows in this well maintained condo. This 2-level unit has been freshly painted, with hardwood floors that flow throughout the main level, a galley-style kitchen with updated counters, open-concept living room/dining room with a walkout to a new deck & a powder room complete this level. Upstairs you will find a spacious master bedroom with a walk-in closet, a second bedroom room, plus a den & a 4pc bathroom; giving you lots of options with this flexible space. Situated in a great location, within a building that is well managed & well maintained....All you have to do is move in!